Do you need to insulate your home or building in the Washington, DC metropolitan area? Call Accurate Insulation. Although our two locations are in Upper Marlboro and Hagerstown, our service area includes DC, Rockville, Bethesda, Baltimore and more. If you’re interested in staying as green as possible when you install insulation, cellulose is a good solution for you. Environmentally friendly and thermally efficient, spray, or wet spray, cellulose insulation is installed in many homes and commercial buildings. Our wet spray cellulose is ideal for attic applications and side wall cavities. Whether your home was built a century ago or just completed, installing Applegate insulation can be beneficial. Here at Accurate Insulation, we can assess your home’s insulation levels and energy efficiency and help you determine the right solution(s). Do you need to install wet spray cellulose insulation in your home or commercial building? 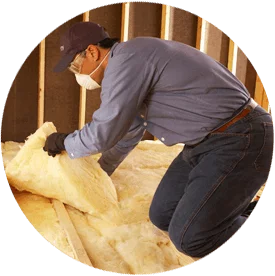 If you’re in the DC metropolitan area, including Baltimore, Annapolis, Bethesda, Silver Spring, Upper Marlboro, Hagerstown and surrounding cities, make Accurate Insulation your first call. Contact us to learn more about our insulation services or if you’re ready to start your project!